Home | Video Armor - Turn your smartphone into a body worn video camera. Capture HD video from your POV, up to 1080p. Automatically tag date, time, and GPS location. Export to PC and Mac. Video Armor turns your smartphone into a body-worn camera. 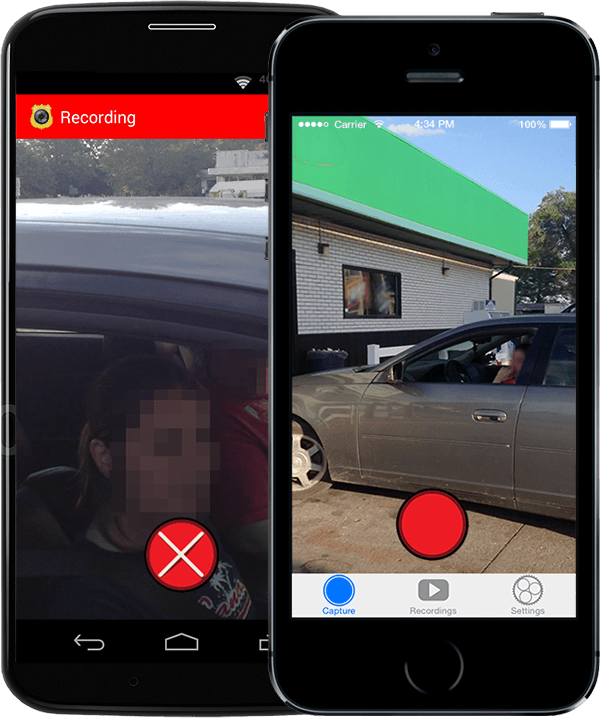 Designed for police, law enforcement, and security teams, the app records high-quality, POV video that is automatically tagged with time, date, and GPS location data. All of this combined with a built-in area to add notes, Video Armor is also a great place to create and store incident reports. While the basic recording controls are familiar, this body camera app includes additional features that help you keep your attention on your surroundings, not your smartphone. You can also enable sounds to remind you when the app is recording. Interested? Video Armor is available from the iOS App Store and in Google Play.